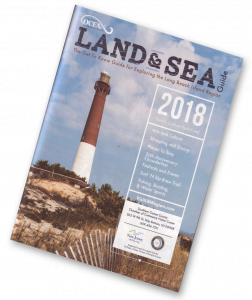 Find out more about what makes our region unique, pick up a copy of the newly released Land & Sea Guide for 2018. This is the official visitor fulfillment piece making its debut at the Philadelphia Flower Show this week. If you cannot wait to get your hands on it, go to: Land & Sea Guide Digital Edition for our digital issue. Our visitor center also has a copies available, so stop in as a brew trail location and pick up your free guide!